How far will he go to save his daughter? How far will he go to get revenge? It's 2053, and runaway climate change has brought civilization to the brink of collapse. 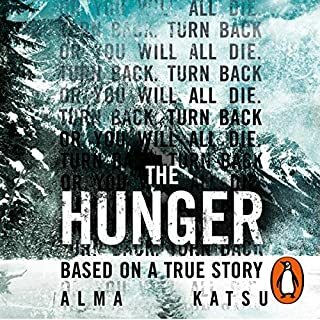 Billions are threatened with starvation, and mankind is slowly moving north in a world stricken by war, drought and superstorms - easy prey for the pandemics that sweep across the globe. Easy prey, too, for the violent gangs and people smugglers who thrive in the crumbling world where 'King Death' reigns supreme. Kenning Hall was more than a country home, it was the family's sanctuary away from the frenetic pace of London, until that day. What happened that day was so horrifying, so devastating, that the place was left to ruin, until now. A decade later, 32-year-old Rupert Harrison, the only surviving heir to the Harrison publishing dynasty, has ordered Kenning Hall restored to its former glory. It's time to go back. Cash strapped, working for agencies and living in shared accommodation, Stephanie Booth feels she can fall no further. So when she takes a new room at the right price, she believes her luck has finally turned. But 82 Edgware Road is not what it appears to be. 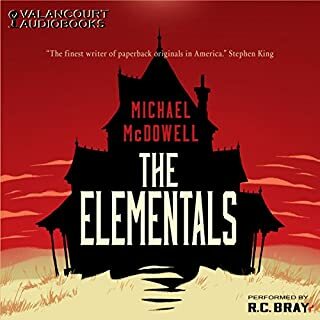 It's not only the eerie atmosphere of the vast, neglected house or the disturbing attitude of her new landlord, Knacker McGuire, that makes her uneasy - it's the whispers behind the fireplace, the scratching beneath floors, the footsteps in the dark and the young women weeping in neighbouring rooms. And when Knacker's cousin, Fergal, arrives, the danger goes vertical. What did you like most about No One Gets Out Alive? left me with a long lasting uneasy feeling. Made my top five. 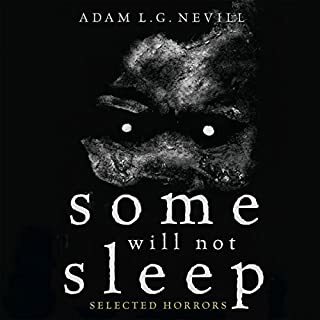 Adam Nevill delivers something rare, scary horror. Genuinely scary dark horrible imagery. This Adam Nevill chap is twisted. Strong story line and narration very good indeed. This is the first time I have ever considered turning it off as it was so horrible.......but brilliant. Highly recommended.....thanks Mr. Nevill and Ms. Prendergast. I absolutely loved this book. I have had troubles finding a book that chills me to the core like this did. 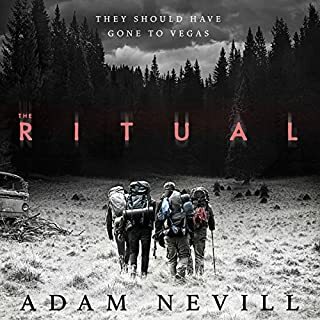 I have listened to Adam Nevilles other book the ritual and the way he writes is just out of this world. I love the fact that it is all played out in England as well. defiantly recommend this book to my fellow horror fans. Too long. Much too long. I saw a few reviews praising this novel and a few complaining of its length. I'm afraid I'm in the complainers' camp on this one. I found this book several hours too long. A book of two halves. The first half felt a little muddled and often rather repetitive. The second half felt like an hour would have more than covered the story. All in all, it felt to me like the story could be told in half the length without losing anything. The main character seemed to repeat herself over and over and narrative was almost constantly, and unnecessarily reminding the reader of previous events. When I still had four hours to go I sped up the playback, just to be done with it and it ended as I had predicted hours before. Sadly, I never felt afraid or nervous and lost the will to care about the main character. However, the narration was excellent and brought as much life as was possible into the story. 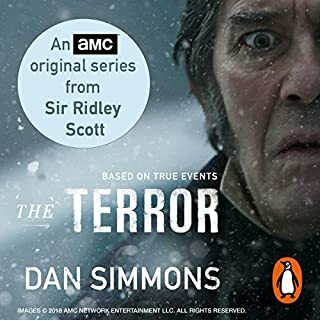 I’ve read it before and really enjoyed it so I thought I’d use a credit to buy the audible version so I could listen to it on my commute. This sounds like it is being read by Siri, or Alexa. No emotion. No suspense. No drama. Completely ruins the story. This is a horror book. Not a telling of a children’s cartoon. I just get zero sense of any horror whatsoever. Shame... can I please get my credit back? Would have been a good book if it have the length. Lots of repeating situations. He's read Stephen King but not learnt. On the whole I enjoyed this book but was shocked to find myself thinking..is it nearly over? This to me proves it was a tad on the long side and started to feel like it was padded out with unnecessary and repetitive story! Just get on with it!! It was nice to get a 'what happens after' but it just seemed to turn into more of the same! l loved adam nevill until I listened to this. 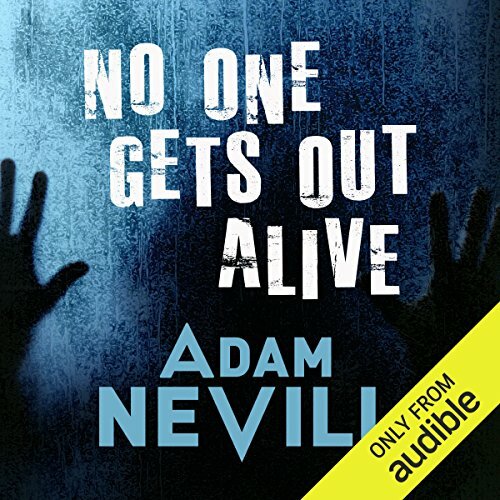 I listened to the end because I liked Adam Nevill. it was about 10 hours to long. omg.. I thought I'd never get out alive! What would have made No One Gets Out Alive better? If it lasted for about three hours. The same weird happenings going on and on made the story unbelievable and tiresome. The other main character, Knacker, could have been read better. 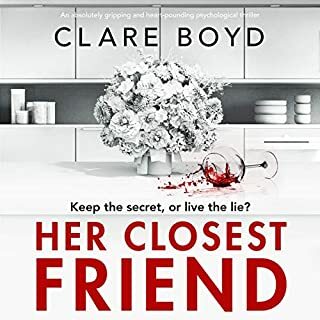 The idea of a desperate young woman taking a room in a haunted house is a good one, but I gave up after four hours; I couldn't face another thirteen hours of the same misery and didn't care what happened to Stephanie. I listened to the sample of this book, and was completely misled by that and the revies and regret paying for this book. this one has teeth. it's creepy and at times disturbing. 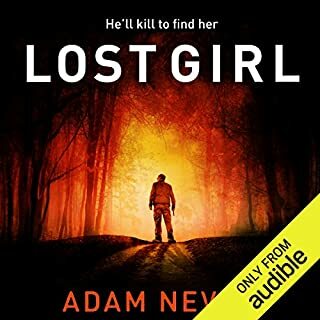 i hope audible snatches up additional Adam Nevill titles as soon as possible. 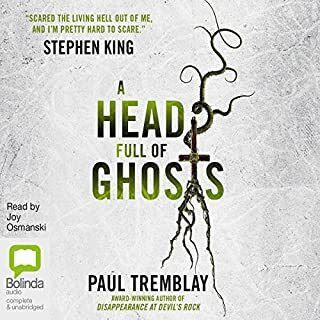 It's hard to find good and spooky horror fiction. i'm glad i now have another author to keep tabs on. Creepy, weird, and really good. I loved this book. It was very unique. The story was weird and creepy, and like nothing I've ever read before. The narrator was excellent. She added to creep factor of this book. Her voice changes were not forced. They seemed natural, and made the other characters (other than the main character) come to life. I will listen to other books she narrates, and other books by this author. Dying for a Cheap Rent Flat? 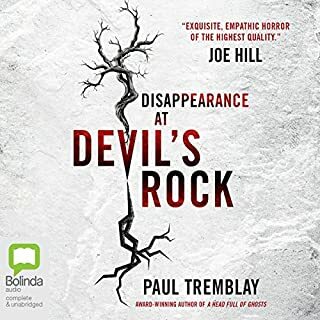 Creeping dread, horror and supernatural psychological torment. Great story, expertly narrated. 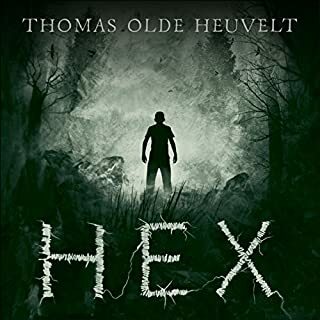 Gets a bit wordy and boggy near the end and the back story is a little convoluted, but I would still recommend it for anyone looking for pre-Halloween goose bumps. 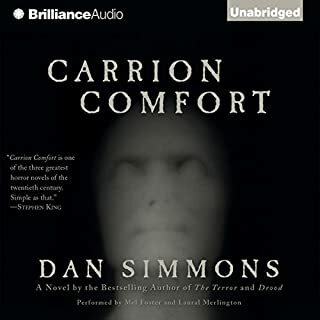 One of the most annoying books I have attempted to listen to in a long time. This book falls under my category of " How in the heck did it get this high of a rating.?" After a couple of hours of listening to " I have to escape this place but I'm still going back into it every day" I simply couldn't imagine listening to another 12 hours of the exact same thing. Enough said. My job requires me to do a lot of night driving. I am always looking for that story to keep me alert and awake. This one did it. It had me from the opening passages. when she describes he first night in a new place. Crinkling tapping from under the bed... instantly gave me goose bumps and saying 'Oh heck no!!'. I was hooked from the start. The story teller did a great job bringing the characters to life and bringing the story to life making a movie in my mind. When the story was half over it could have ended there. I would have been happy with the story. But it did not end. So many stories come to an end and the reader is left wondering what happened next. This story continues and ties up all of the strings. There are times when it is quite wordy and there were times that I needed to take a break because it seemed to go on and on. There were many times where I had goose bumps. There were times when I thought oh that's predictable horror story antics. Then there were times I really wondered if the main character had a mental illness. Upon the conclusion of the story I was glad that I stuck with it. I enjoyed it quite a lot. I feel this book is a solid horror book and not a "thriller-suspense" as labeled. 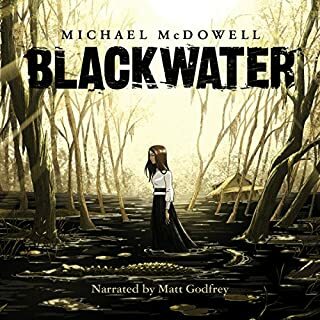 I think the narrator is fantastic and she did a great job. I thought the plot of this book was good but it was overly done, too long and just tired me. 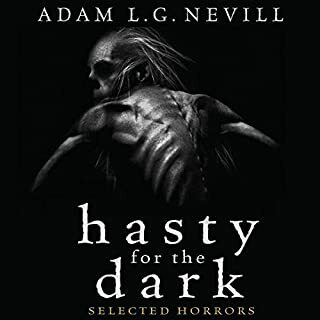 Not sure I recommend unless you like horror, super natural genre books. 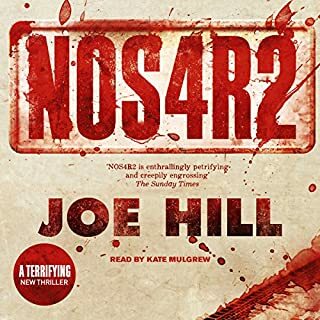 The grisly and terrifying elements of No One Gets Out Alive make up for some of the book’s longer passages that tend to be a little superfluous. 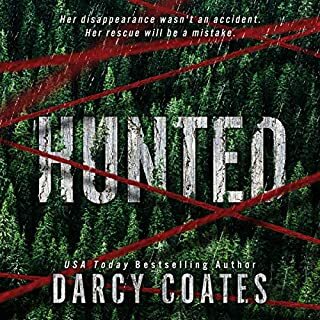 I think if some chapters were trimmed down a bit the overall suspense would have been more effective, but what it was had me feeling tense most of the way through. I won’t spoil anything here but the most frightening scenes of the novel reminded me of the Amicus film called ‘Asylum,’ in which a man chops up his wife into several pieces and wraps them in butcher paper, but the pieces come back to life and the man is strangled to death by his wife’s disembodied hands. No One Gets Out Alive was a good combination of psychological and supernatural horror, and not for the faint of heart or stomach. The protagonist Stephanie goes through hell at the hands of disgusting men in the first half of the book, as well as a mysterious evil entity. I would advise anyone who might be triggered by depictions of sexual assault that some scenes could be upsetting. 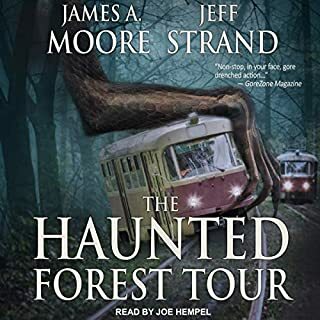 To be certain, the elements of the story that might have been lacking were made up for with the talented narration and suspenseful if not utterly terrifying climax make it well worth finishing. Strong characters. Creepy. Great payoff. Truly loved it. It was actually creepy. Some people complain that it was too long, which I don't understand. At no point was the story boring, at no point did it lose my attention. Characters are wonderful and distinct. The drama builds to an incredibly satisfying payoff... but you're still just half way through. The next payoff at the end is also good, and the revelations are startling. Slow burn, maybe, but a steady crescendo at all times, a sense of heightening tension at all times. Upon finishing it, I felt compelled to immediately start again from the beginning. Loved it. 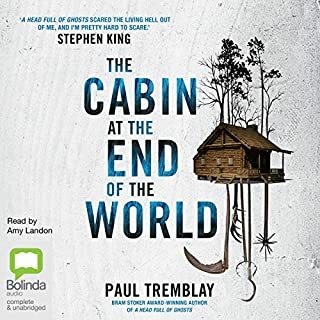 Fantastic narration and a solid story that twists and turns until the very end! If you liked this, read "The Good House" by Tananarive Due. Initially I'd thought the supernatural elements were benign, a warning, and the true threat was the evil of man. Thankfully there was more than that. The last part of the book is my favorite, but a few scenes in the house itself are great. I'd say the book is a little unnecessarily long, but Nevill's writing makes up for it, and damn if there isn't atmosphere to spare.